This is the first time I have ever done a hotel review. These are my legit opinions. I’m not being paid (sadness). For our time in Quepos we stayed at Issimo Suites, and it was absolutely amazing! 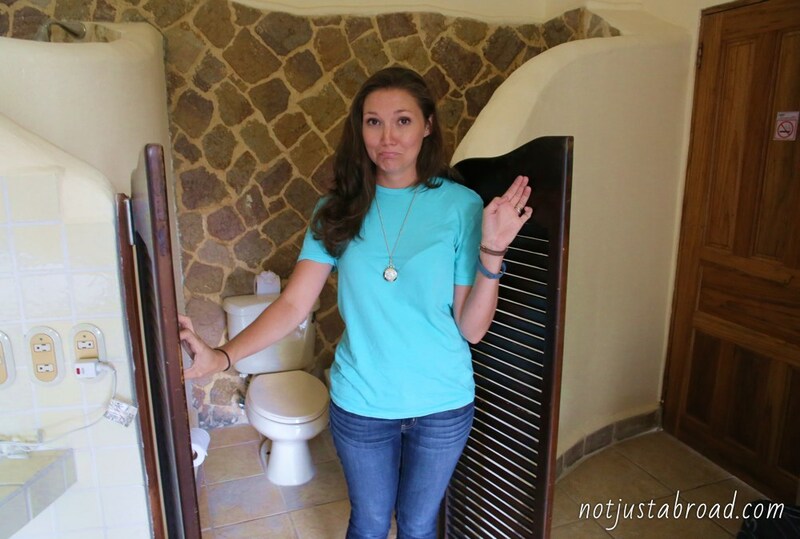 The hotel only has a handful of rooms, so it’s a very intimate experience. 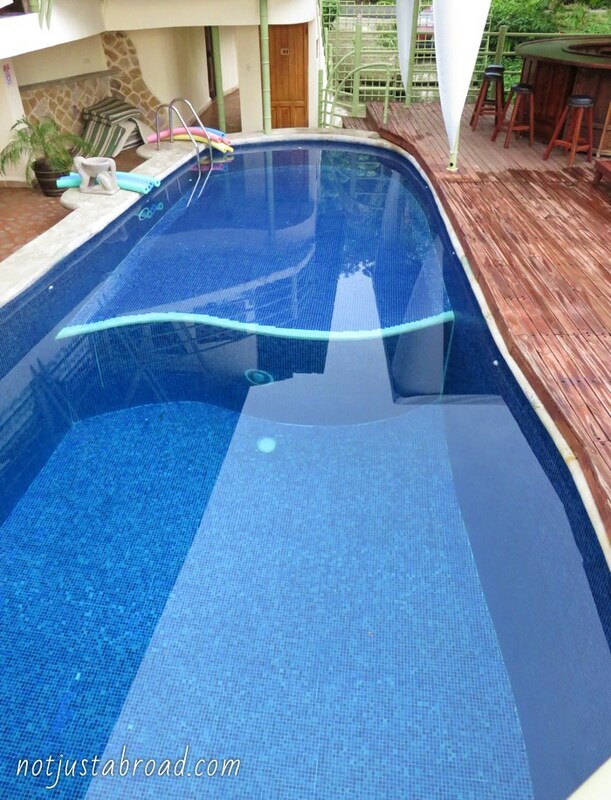 We got to know the other guests as well as the staff; the staff was super friendly and full of helpful suggestions. 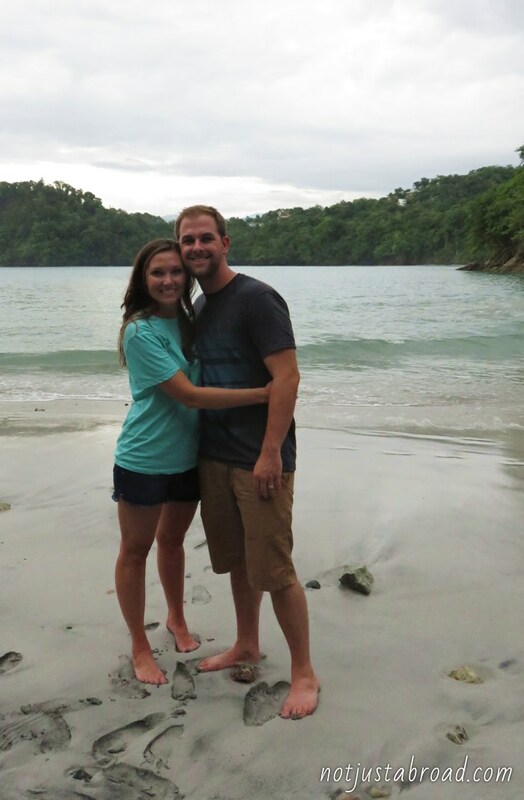 They really wanted us to enjoy our time in Quepos. When we first arrived we were greeted with a welcome drink—some kind of awesome fruit punch with a piece of star fruit decorating the glass. 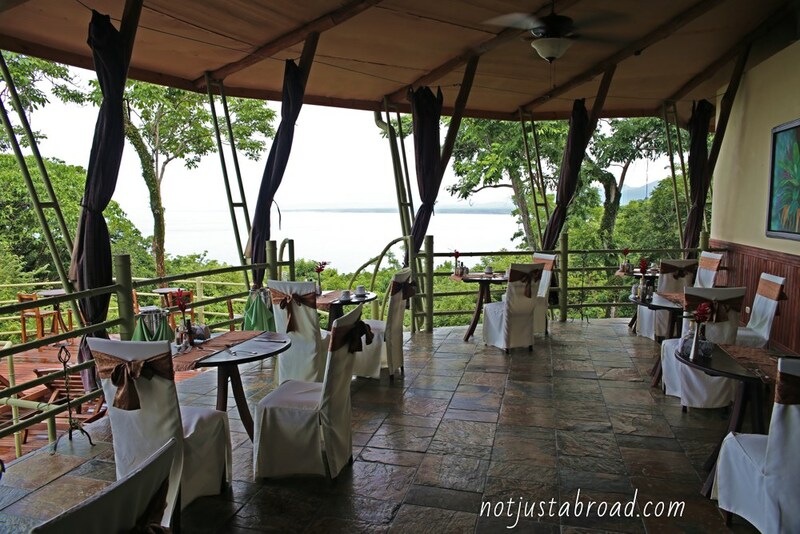 From there we stepped into their open-air dining area which had breathtaking views of the jungle that opens up to the ocean. They helped us get our bags to our room, and that too was amazing. 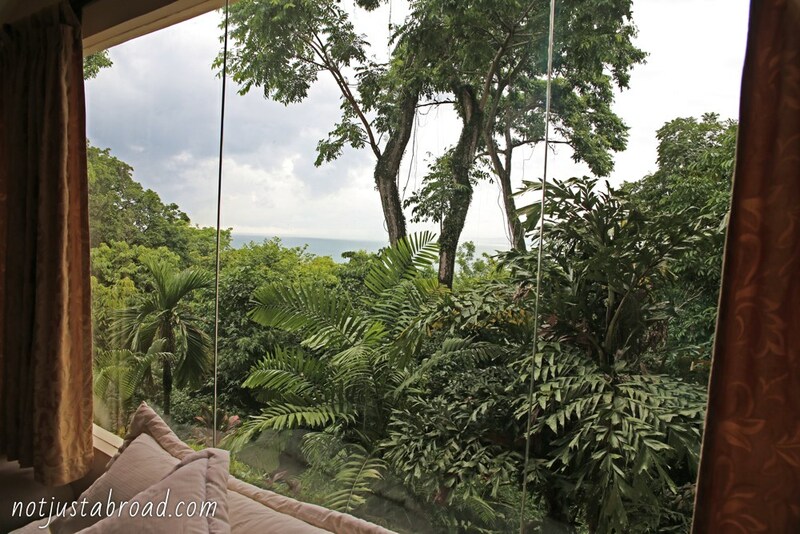 One wall of the room was a window with beautiful view of the ocean, and a sloth! 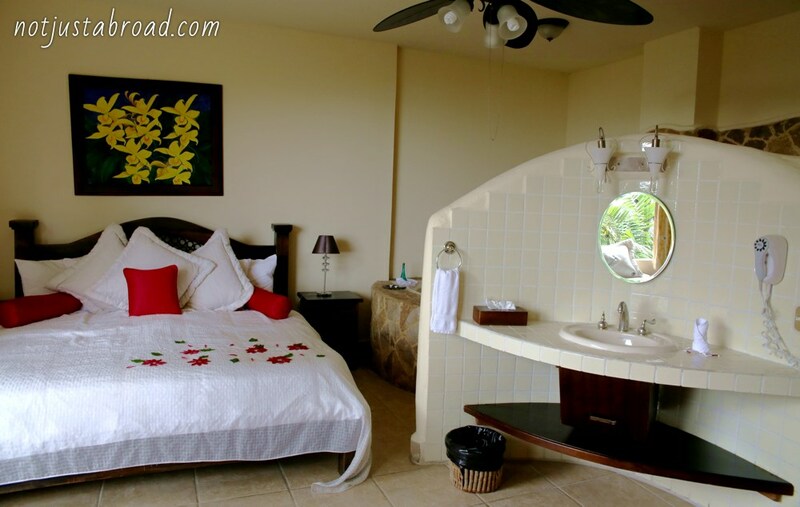 The room was romantically arranged with a large whirlpool tub, and an open air shower. The swimming pool was beautiful and really deep. The deep end of the pool was about twelve feet. It was also an infinity pool at one end so you could swim and be mesmerized by the view of the ocean. A couple of times we saw toucans flying from tree to tree right by the pool. The restaurant was also really tasty and competitively priced—not to mention if you are a guest at the hotel, you get 30% off. There is a free breakfast every morning which always includes an omelet bar, rice and beans, fruit, and toast. The other options alternated between some kind of breakfast cake, potatoes, and meat of some sort. The coffee was especially yummy as it all locally grown and roasted in Costa Rica. A short walk from the hotel was a small beach, Playa Biesanz. 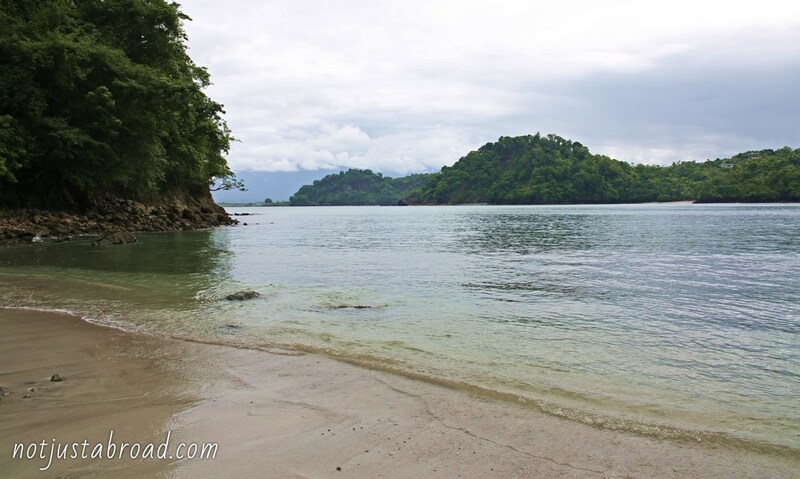 It was a beautiful, un-crowded beach framed by cliffs and boulders. 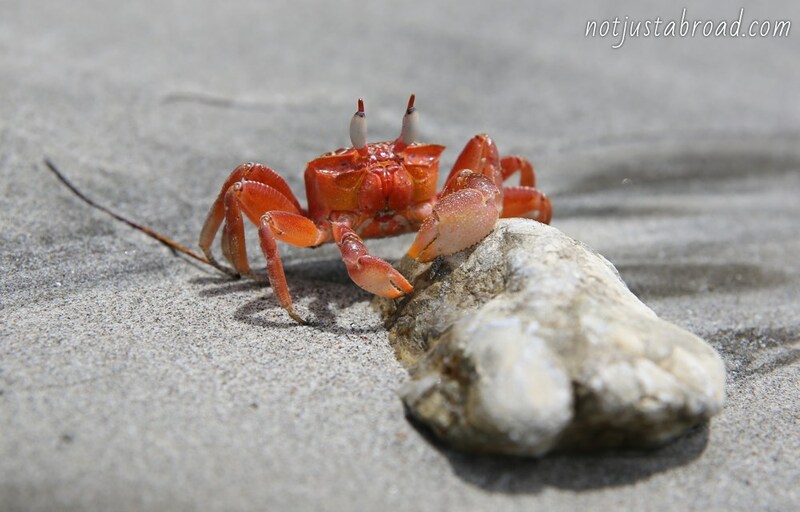 The beach was peppered with small colorful rocks, bright red crabs, and the occasional iguana. 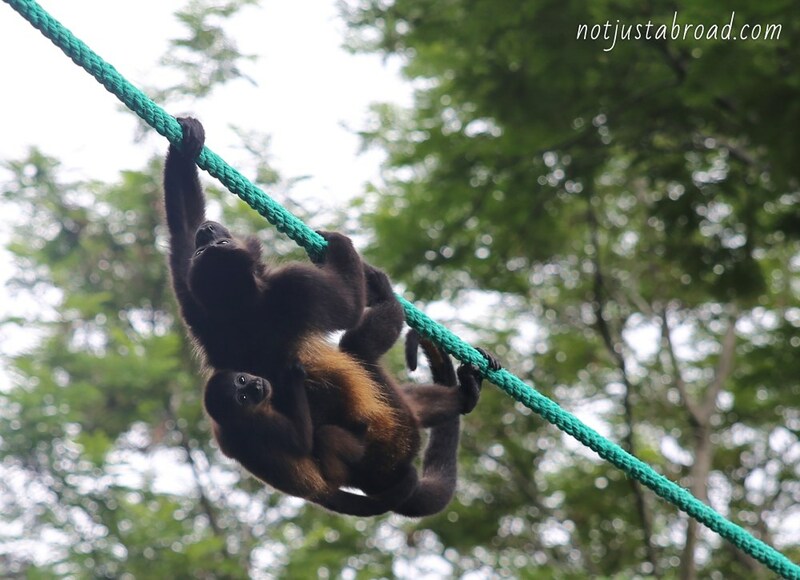 Each time we took the walk down to the beach we saw some kind of wildlife—usually howler monkeys. Jeremy and I both agree, this is the best hotel we have ever stayed at. 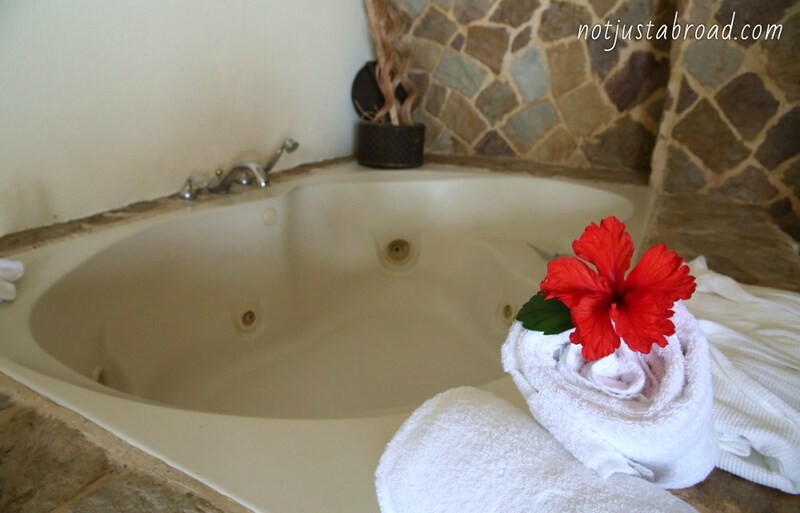 It invites you to experience both adventure and the true relaxation that Costa Rica offers. 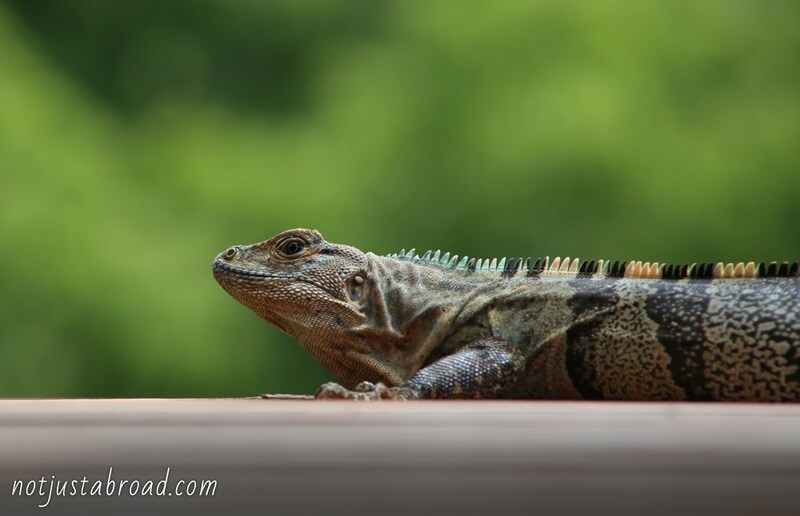 You can take a swim while your lunch is being made; you can go hiking in the nearby Manuel Antonio Parque Nacional, lounge on the beach, or just sit on the deck and look for all the wildlife that is hidden in the trees.